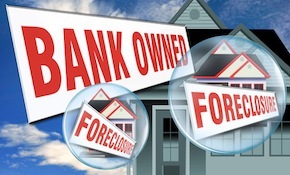 My company has bought and resold hundreds of bank-distressed (REO) properties over the last several years. We have purchased even more non-performing or defaulted notes. Although many times it’s possible to modify the terms and keep the borrowers in the home (when buying the loan), many times we have to take back the property through a Deed-In-Lieu or outright foreclosure. Once we gain title to the property (either purchased as REO or taken back through foreclosure), it is astonishing how, despite different locales, different occupants, and different socio-economic classes, the insides of these houses all look the same. Several months ago, I asked my Realtor in central Ohio to check out a property we could buy at a very reasonable price from a household-name bank. Knowing this particular bank would simply be deeding the property to us via Quit Claim, warts and all, I wanted to know what kind of additional investment would be needed to get it ready for the market. Garbage. Mounds. Piles. Everywhere. Room after room was waist-deep in household items (clothes, toys, pots, pans, old furniture, etc,) and garbage. Think of an episode of Hoarders. Some of these items had value to the former occupants at some point (clearly not enough value to take them with them! ), but my agent speculated the former occupants actually HAULED GARBAGE IN as perceived revenge to being evicted. All in all, it took five (5!) large dumpsters to remove all the waste. Was I surprised? Not in the least. They ALL look like this to some degree. When people get evicted from their homes, not only do they leave most things behind, but they make a royal mess first. Is there some handbook that tells how to leave a property when you get kicked out? It is uncanny how similar each property is. In fact, when we buy these houses, it is a given we will need to budget for a ‘trash-out’. These typically range from $1,500 to over $5,000, depending on the location and the severity of the mess. But that’s not all. Many times (and this property in Ohio is no exception), there is an abhorrent pet odor that accompanies all the garbage. Sometimes the former occupants leave their pets to fend for themselves in the property when they move out; most times it’s the more unfathomable situation: They just let their pets relieve themselves in the house. On the carpet, in the kitchen, bedrooms, furniture, etc. Adding to this olfactory atrocity is the food left to rot in the refrigerator that no longer has power running to it. I’m not writing this to ridicule the unfortunate who lose their homes. Rather, this intends to serve as a precaution to those of you who are currently collecting payments on a note. Most security instruments (Mortgage, Deed of Trust, etc.) require the borrower to adequately maintain the property or run the risk of being in default. It is your right as a note holder to check on the property and make sure it is being kept up. In the event your borrower has already defaulted on his/her obligations to you by no longer making payments, it is imperative you are aware of the condition of the house; not just from the street, but inside it as well. Banks can’t do this due to the impossibility of doing all those property checks, but you can. Your attention (or inattention) to how your borrowers maintain the property could save (or cost) you thousands (or tens of thousands) of dollars. The best course of action, obviously, is to keep a good relationship with your borrower and communicate often. Every once in a while, ask if you can come pick up their monthly payment instead of them mailing it to you. (Clearly this assumes you live in the same area as the property.) Check to see how your borrowers maintain the property, both inside and out. If it’s not being maintained up to your standards, kindly remind them of their obligation to do so as per the Security Instrument’s verbiage. So how do we monetize this asset in Ohio? Well, considering all the costs involved to make this house habitable again, we offered a pretty low buy price. After all, we had to budget for the trash-out, the repairs, ongoing lawn maintenance, (and snow removal if we haven’t sold it by the time winter rolls around), Realtor fees (once the property sells), title insurance, closing fees, and the cost of our investment dollars. And just in case someone is all excited about jumping into this arena with both feet, please know all the ancillary costs will EXCEED our purchase price of the property. Will we make a profit on this particular property? I’m pretty sure we will, although it remains unsold at the time of this writing. Our biggest hurdle is the smell of animal feces that has permeated the subfloors and persists despite removing all the carpet and linoleum in the house and doing five separate applications of “Odor-X-It”. Oh, and I forgot to mention the former occupants also cut all the electrical wiring and removed the ‘guts’ of the HVAC system. Despite all the negatives mentioned here, the key is having the right team in place (Realtors, contractors, etc.) to efficiently do all that needs to be done. Oh, and one more thing: Whoever said “One man’s trash is another man’s treasure” never bought distressed properties! Great article! Thanks for being abundantly clear and painting a realistic picture of “life as a real estate investor.” Unfortunately, I think you’re right, there is a “book” out there somewhere that instructs many folks how to leave a property from which they are being evicted. I do have a question – how does one just show up to collect the monthly payment if the occupant has been instructed previously to “make a bank transfer, do an auto-pay etc.” I presume if I am an out of state owner I’ll have to hire someone to go do this and check on the condition at the same time. I want to buy notes but nobody wants to give me the info I need to make it happen,I’ve been trying for 6years now,how do I find notes they’re so hard to find.